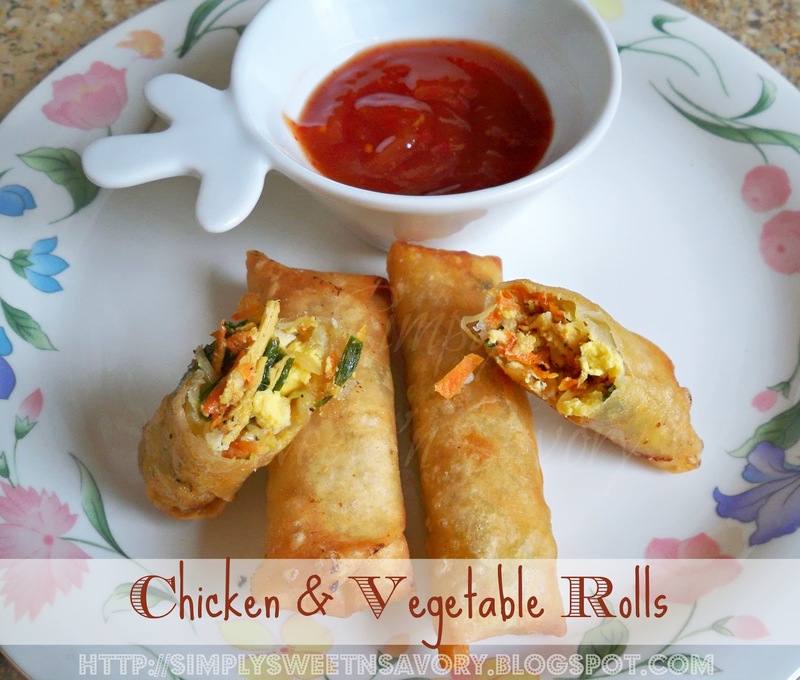 Chicken & Vegetable Rolls ... Deep-fired crispy rolls with chicken and vegetable filling. These delicious and irresistible rolls are the perfect appetizer or snack for Iftar, teatime or any occasion. 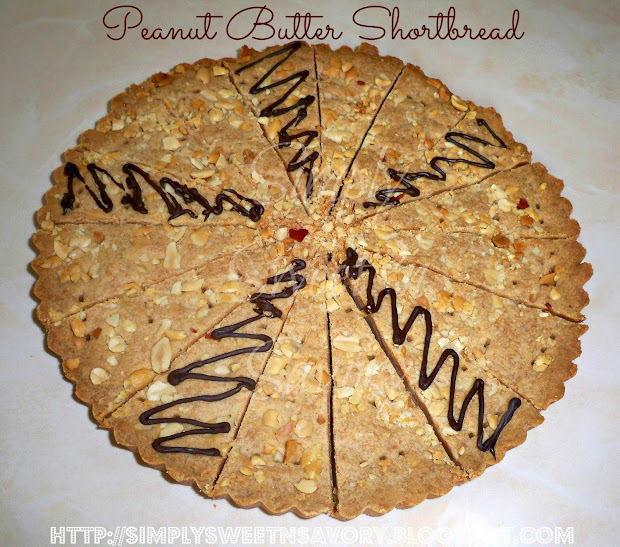 Peanut Butter Shortbread ... Rich and delicious shortbread with peanut butter and chopped peanuts. They are pretty simple to make. Just mix ingredients with your fingers, press in a pan and bake till lightly brown. 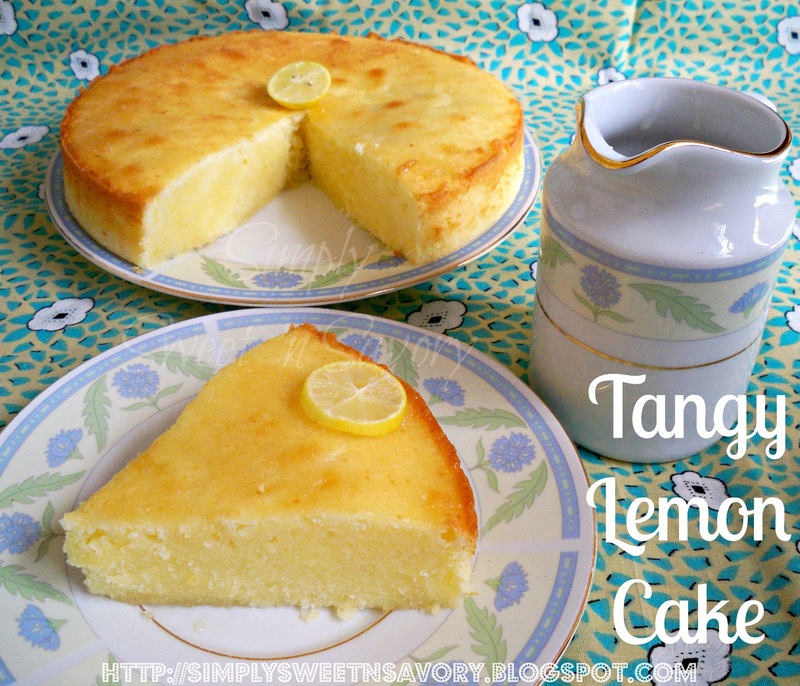 Cut in wedges & enjoy this lovely treat! 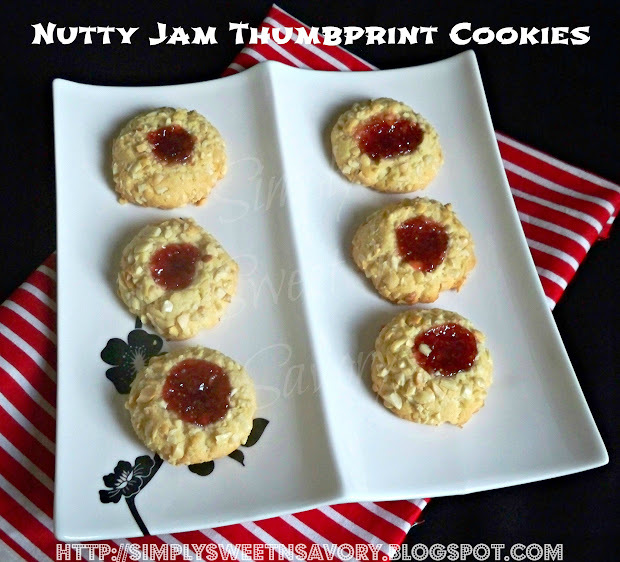 Nutty Jam Thumbprint Cookies ... Celebrate Mother's Day in a special way with these delicious nutty cookies. These thumbprint cookies are made with a soft cookie dough, formed into balls, rolled in nuts and filled with jam. Perfect to make any occasion special! Tangy Lemon Cake ... A moist tangy cake, simply irresistible! 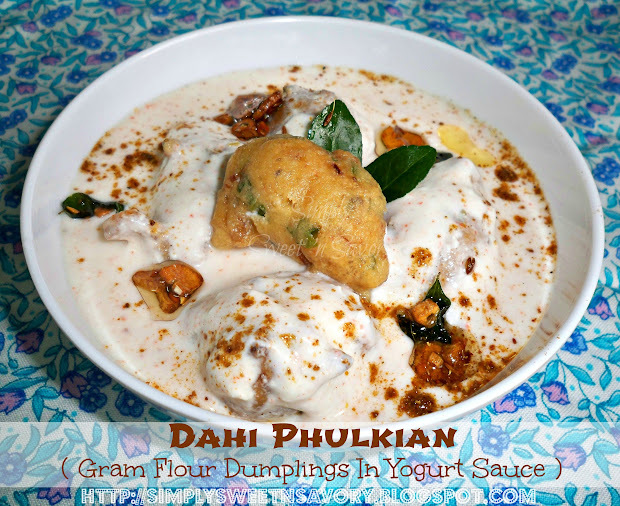 Dahi Phulkian ( Gram Flour Dumplings In Yogurt Sauce ) ... A refreshing and light summer meal. These are dumplings made of gram flour, topped with yogurt sauce, tempering and a sprinkle of chaat masala. Serve as a side dish or an appetizer.